Let’s face it, nobody appreciates a boring a lawn no matter how clean it is. With an endless sea of possibilities, a little bit of effort, and an affordable investment, you could create something unique for your home and give increase its value. Plus your family, neighbors, and guests will love you for it. Need some ideas? Below is a list of great landscaping concepts that instantly add appeal to your lawn. And when you’re ready, contact Dan’s Landscaping Company. We’re the San Luis Obispo Residential Landscape pros. We can transform your bland yard into a colorful vibrant little paradise! Paver Patios – No backyard experience is truly complete without a patio. Y’know, the place where everybody wants to hang out? Patios instantly create fun and lasting memories. Paver Patios are simple to install and there’s no limits to design. Plus you’ll appreciate how easy they are to clean and maintain. Seating Walls – Once you’re paver patio is installed, a seating wall around the fringe is a great finishing touch. Seating walls automatically add accommodations for your guests year round without the hassle of providing chairs. Fire Pits – Want instant fun? Grab the smores and weenies and gather around the fire pit. Fire pits are great for any social gathering, and can be enjoyed even during cool weather. The can built into your patio or stand alone. Water Features – If your desire is to create a peaceful environment in your backyard, then water features may be your solution. Water fountains with the sound of trickling water provide the ideal the p backdrop for your lazy afternoon. A garden pond complete with fish is the perfect center piece for your flower garden or landscape. Outdoor Lighting – There are numerous aesthetic and practical benefits of outdoor lighting. The most important is security and protection for your home. Outdoor lighting deters trespassers and minimizes the chances of break-ins. Another great feature of outdoor lighting is that it allows your family and guests to spend more time outside during the evening hours. And finally, it provides accident free passage for your pathways and sidewalks. Retaining Walls – Depending on your property, retaining walls give you the flexibility of elevated landscape. They provide stability and style at the same time. Retaining walls can be installed a number of different ways, and come in a wide selection of materials and designs. When you decide to launch your next residential landscaping project, contact our San Luis Obispo Residential Landscape Contractors at Dan’s Landscaping Company. Our certified professionals can help you through every phase of your San Luis Obispo landscape construction from initial design & concept to project completion. 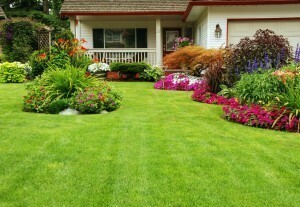 We provide a number of products & services for a home landscape needs. You’ll love our dependable service at an investment that you can afford. 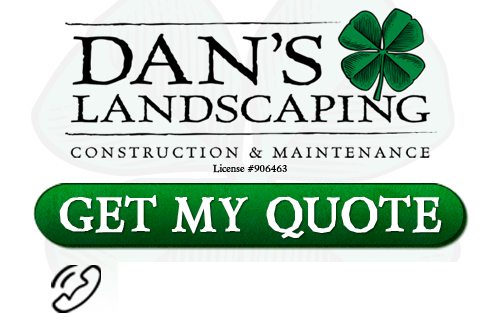 If you are looking for a professional San Luis Obispo Residential Landscape Contractor then contact Dan’s Landscaping Company at 805-550-5488 or complete our online request form.